MANILA, Philippines – The submission of a 300-year-old map to the international tribunal will strengthen the case filed by the Philippines against China’s territorial claim, Malacañang said Monday. “China’s claim is about historical title. This old map would certainly present the side of the Philippines when it comes to any historical basis,” Presidential Spokesperson Edwin Lacierda said in a press briefing. Lacierda said the Philippines has a “strong” case against China, which is claiming virtually the entire South China Sea. The VERA Files reported that Filipino businessman Mel Velarde won an auction and got the map published by Jesuit priest Pedro Murillo Velarde in 1734. 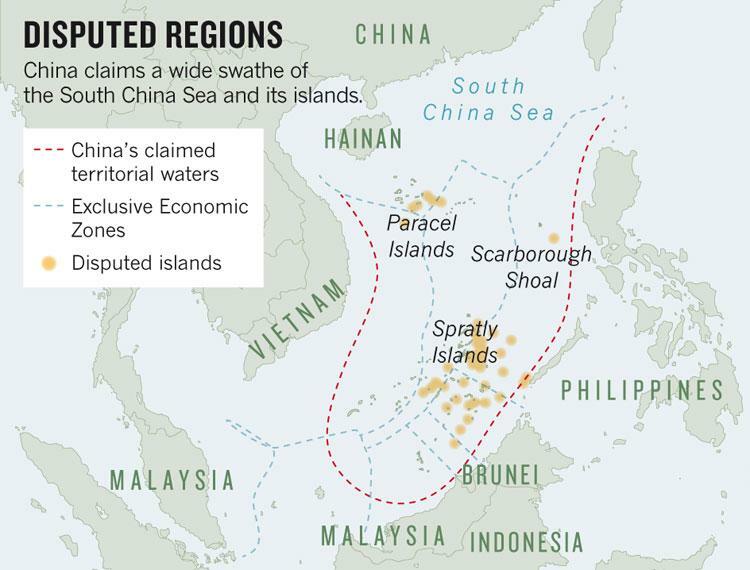 Debunking China’s so-called nine-dash-line claim, the Murillo map indicates Scarborough shoal, known in the past as “Panacot,” which is among the contested areas in the South China Sea. The Philippine government will submit the map to the United Nations Tribunal on the Law of the Sea in The Hague this week while its certified true copy will be presented to Malacañang and President Aquino on Independence Day. Lacierda reiterated that the Philippines seeks to resolve its territorial dispute with China through peaceful means such as international arbitration. The Palace official, however, acknowledged that China has refused to participate in the arbitration proceedings initiated by the Philippines. Despite the territorial row, Lacierda said thePhilippines maintains good ties with China. “If you’re going to limit yourself only to the South China Sea, certainly it will color your perspective,” Lacierda said. “We have established good relations with China and we are friends,” he added.